Steinmetz sold the business due to investigations into his mining operations in Guinea via BSG Resources, owned by a Lichtenstein foundation in which he is the beneficiary, the report said. The federal tribunal for criminal affairs alleges that BSRG employees are involved in a corruption scheme, the report continued. "The events in Guinea have unjustly damaged Steinmetz's reputation," said his lawyer, Marc Bonnant. "It is liable to harm his diamond business. The banks are constantly wondering about the connection to Steinmetz's fortune. He does not want problems with the banks or their hesitations to be an obstacle to SDG's business." Steinmetz sold 37.5 percent of SDG to his brother Daniel, who now owns 75 percent of the company, Le Temps reported. A third partner, Nir Livnat, owns the other 25 percent, the report said. 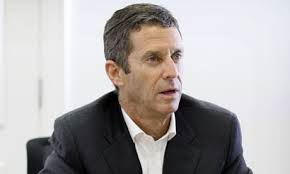 "Beny Steinmetz always had access to exceptional stones thanks to his relationship with De Beers... Every year, Steinmetz buys $1-2 billion of diamonds, which positions it as one of De Beers' most important clients," Le Temps cited an anonymous source as saying. A spokesperson for Steinmetz was reported as saying, "The foreign article is inaccurate. As part of routine business, holdings in the diamond polishing and cutting company were sold. The holding amounted to 37.5 percent. The company continues to operate in the mining, distribution, and commercial sectors, with potential growth and very high profit margins. There is no connection, either direct or indirect, between the business and the struggle over BSGR's rights in Guinea."